Order your flowers TODAY and we'll deliver it any day you wish later. You will get your immediate 20% discount at the time of checkout. * All wedding flora arrangements and gift baskets are excluded from this offer. Voted the Couple's Choice Awards.. four times! One of many 5 STARS ***** Ratings. I loved working with this florist. She had a lot of wonderful ideas and really helped put together a beautiful bouquet for our wedding. I would advise you to sit down and discuss your wedding theme, your costume or venue colors, and what type of jewelry you as a bride and groom would wear, and then let the florist take on her creativity. She did a phenomenal job on this bouquet because it color coordinate magnificently with our outfits and some of the jewels the bride was wearing. Definitely the best service. ... MORE click here. as determined by reviews from our past clients. The Couples' Choice Awards recognize Las Vegas Bouquet as among the top 5% of wedding professionals nationwide. Voted Best Of Weddings many times and two years in a row! We're proud to have won The Knot Magazine's "Best of Las Vegas" six times, as chosen by brides featured in the 2007, 2012, 2013. and more Annual Premier issues of The Knot Magazine, distributed in August. The Knot Best of Weddings has a circulation of over 200,000 across the nation. We look forward to continuing our award-winning service, design and prices for future brides to come. Thank you to all our brides for choosing us. ﻿There's no better place to order flowers in United States online than lasvegasbouquet.com. 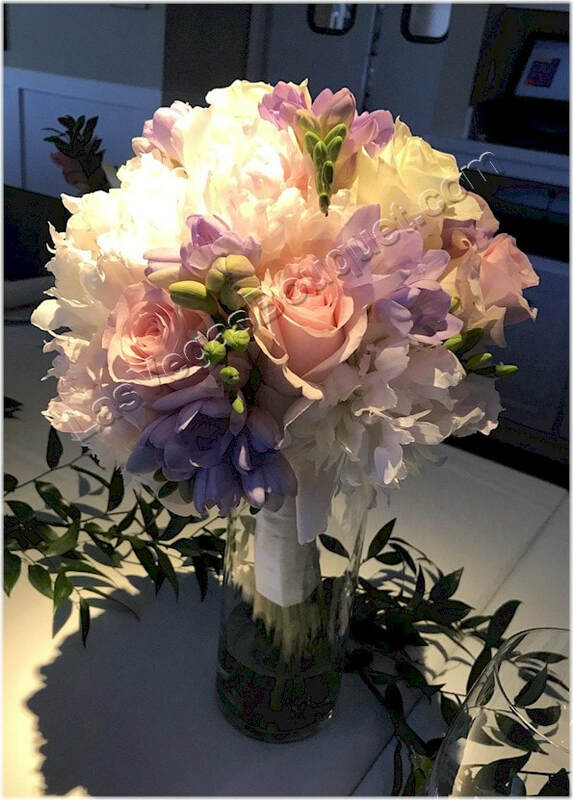 Whether you're looking to buy flowers and gifts like roses , orchids, perfect gift, fresh flowers bunch, exotic flower arrangement, flowering plants or wedding bouquets, we have the highest quality blooms and the most talented florists who can create exactly what you order. Same-day beautiful flower delivery is available every day, for all seasons: spring, winter, summer and fall. To send flowers for same-day delivery, all you have to do is place your order by the following times in the Las Vega's local florist time zone: 2:30 p.m. weekdays, 1:15 p.m. Saturdays, and 9 a.m. Sundays. Whether you're sending red roses to your sweetie, summer flowers and gifts to celebrate the season, or a get well gift to someone feeling under the weather, if you have questions, we have an answers! Just call 1-800-868-1983 or place an order for flower delivery online.